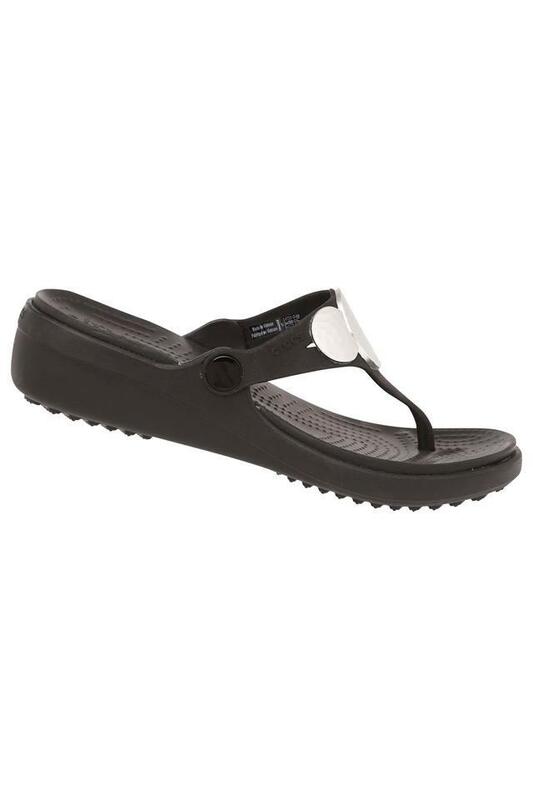 The delight of any fashion lover, this pair of wedge sandals is brought to you by the popular brand, Crocs. 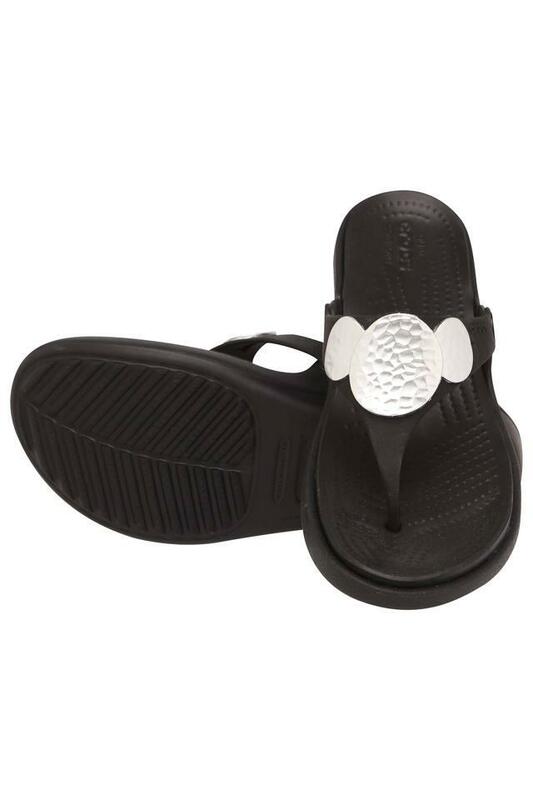 It comes with a slip on style that makes it convenient to wear. 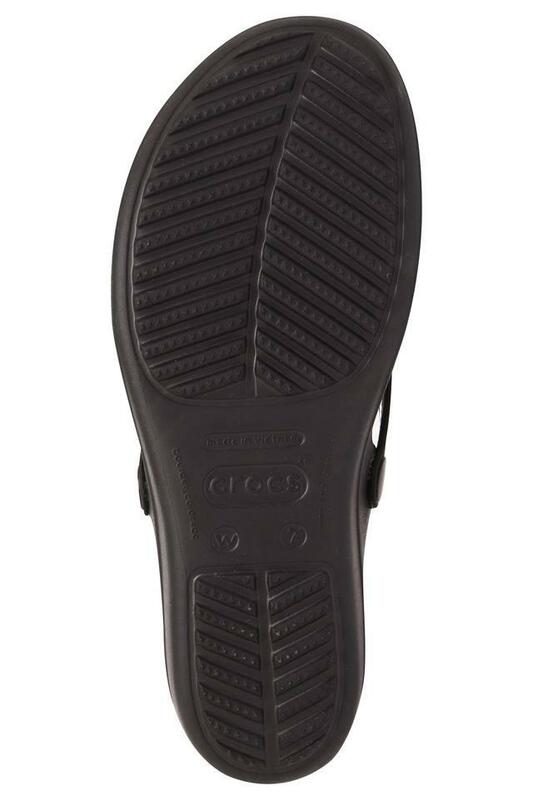 Besides, it flaunts a metal detailing on the crossover strap that lends it a distinctive look. 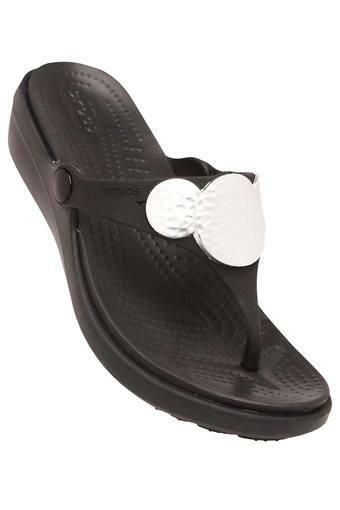 Being a style savvy woman, you will definitely like this classy pair of wedge sandals. It can be worn with any attire of your choice to complete your casual look.